We are a niche social investment professional services ﬁrm. To achieve deep and sustainable social impact for a greater good. 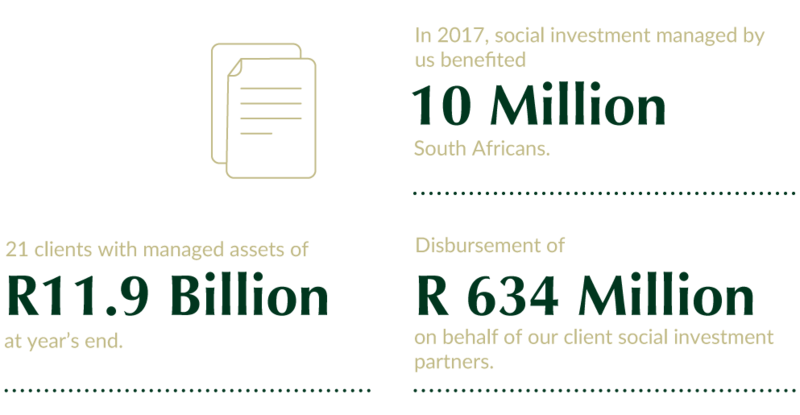 sustainable and measurable social investment solutions. and the highest level of ethics. In our continuous commitment of zero tolerance towards fraud, corruption and unethical behaviour, Tshikululu has implemented a totally anonymous reporting facility, the Vuvuzela hotline, for all Tshikululu stakeholders to report suspicions of unethical conduct. This independently managed facility provides for a safe alternative to silence, and offers various reporting media such as a toll-free telephone number, email, fax and postal reporting facilities.